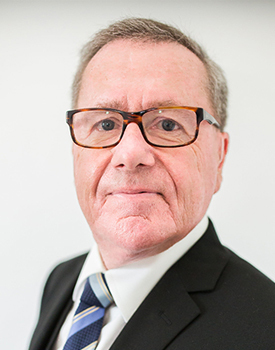 Derek is a mediator and investigator with ADR Chambers. Derek brings 37 years of insurance experience to his mediation practice with expertise in personal injury, product liability, professional liability, property and casualty, reinsurance and medical malpractice disputes. Derek spent many years as Vice-president of Claims for a large insurance provider resolving large liability and first party claims and also spent time in management at a major Canadian bank. He has instructed Chartered Insurance Professional courses for over 10 years, and is a past Vice-Chair of the Insurance Bureau of Canada Claims Committee. Derek is a member of the Ontario Insurance Adjusters Association and a committee member on the Humber College ADR graduate program advisory committee. He is a past member of The Canadian Insurance Claims Managers Association, and a past Director of the Insurance Institute of Southwestern Ontario. Derek is a Chartered Insurance Professional (CIP), a designation the Insurance Institute of Canada grants to agents and professionals in the property and casualty insurance industry, and attained the highest grades in Canada. This certification recognizes expertise, knowledge and compliance with ethical standards. Derek is based on London, Ontario and is willing to travel.